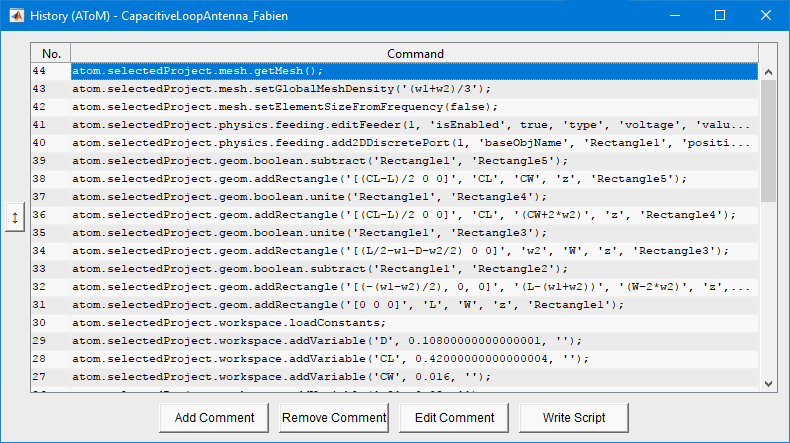 The AToM (Antenna Toolbox for MATLAB) is written entirely in MATLAB, so the user will enjoy its semi-open architecture and friendly operation through GUI or direct access to low level functions. 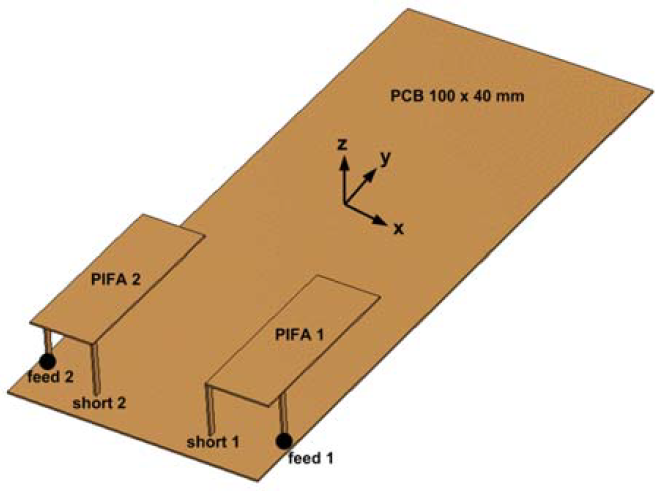 Main simulation core is based on Method of moments, both for 3D wire and planar structures. 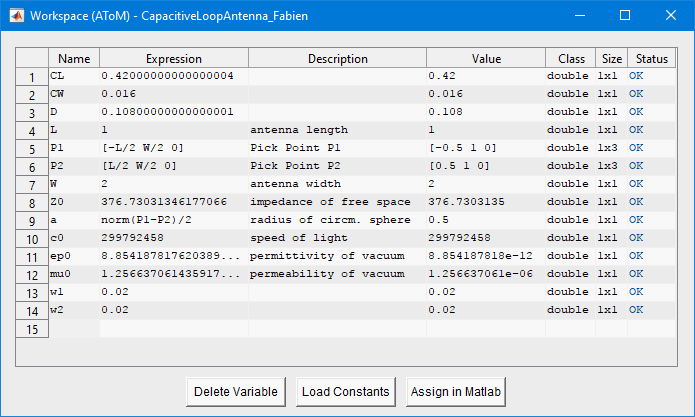 Together with modal decomposition (Characteristic modes), the source concept, feeding synthesis and powerful optimization (FOPS optimizer), it will present unique tool for analysis and synthesis of (small) antennas. Full list of AToM features is available below. AToM Design Viewer with a capacitive loop antenna and active pick-point tool. The PEC symmetric plane is enabled and highlighted by green color. 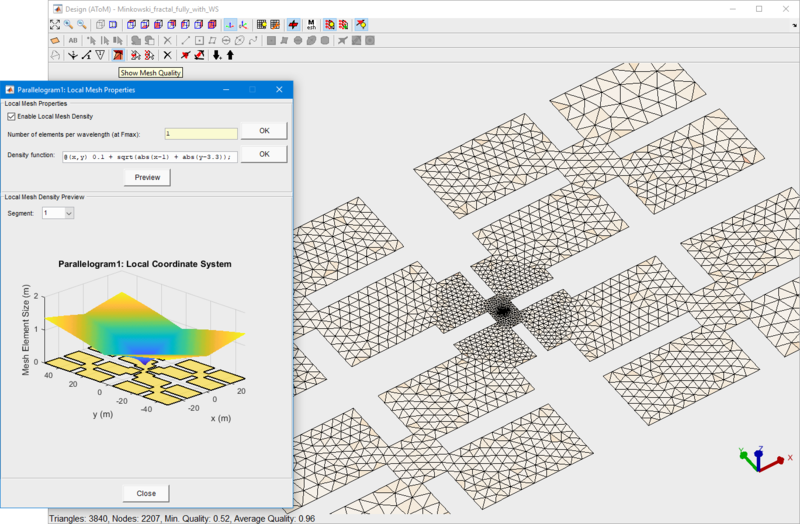 Draw the antenna interactively, visualize mesh grid, feeding scenarios, and boundary conditions. Take the advantage of AToM Workspace. List of user-defined AToM variables which parametrize the capacitive loop antenna. Create own variables and use them freely throughout the AToM to parametrize all your models. 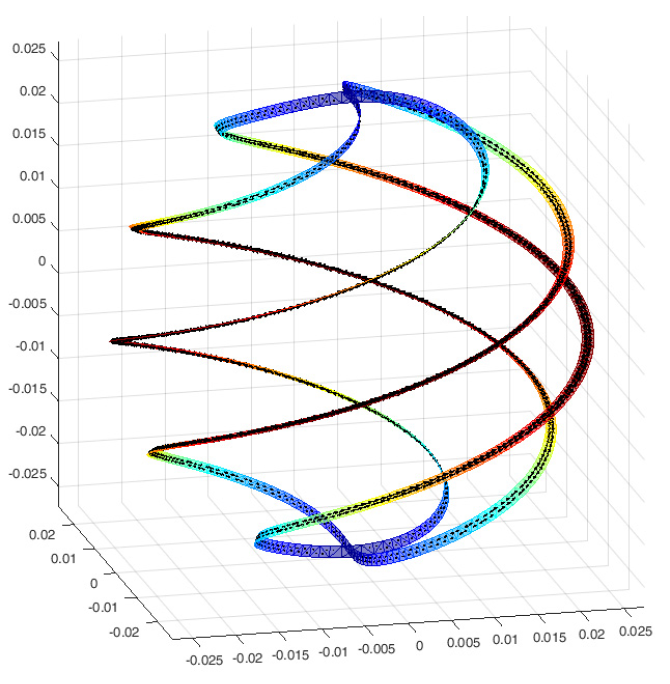 AToM Workspace is the primary gateway between variables in MATLAB workspace and AToM. Record of AToM History for capacitive loop antenna. Rely on automatic MATLAB-executable record of your AToM session. Modify it, send it, share it. A segment of MATLAB code with AToM-executable commands (start of MoM solver and acquisition of the results). Have a full control of the AToM workflow. Access all powerful low-level functions and features. 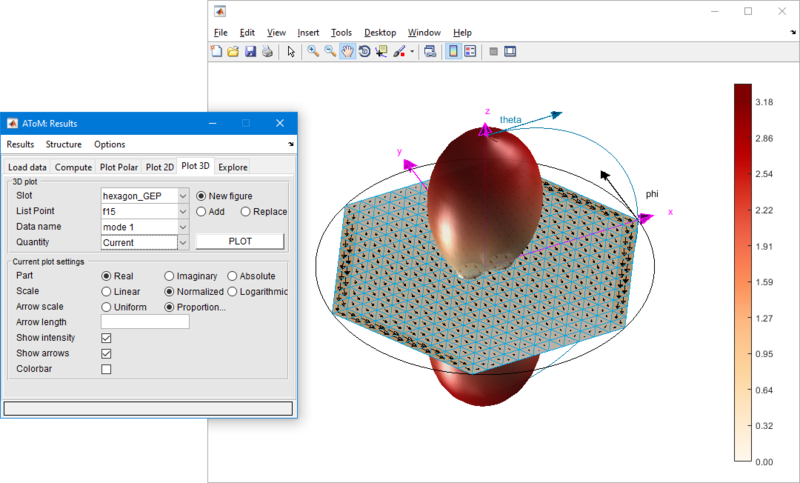 Combine freely AToM commands and other MATLAB commands. Complex fractal body discretized using local density function (discretization is finer where high amplitudes of current density are expected). Use fast and versatile AToM mesher. Set up local density functions. Enjoy various settings of uniform mesh grid and full support of symmetries. 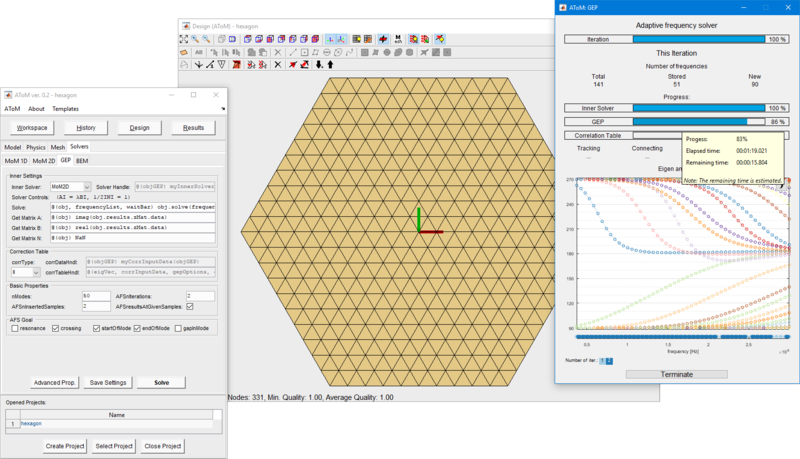 Characteristic mode decomposition of hexagon with perfectly symmetrical mesh grid. Try out the far most advanced characteristic modes decomposition package. Adaptive tracking, accurate decomposition, symmetry based-tracking, scalable GEP definitions... all at your disposal. Radiation pattern of dominant characteristic mode on hexagon. Analyze your results swiftly with standalone AToM Results Browser or dig directly into the deep study with underlying elementary functions. 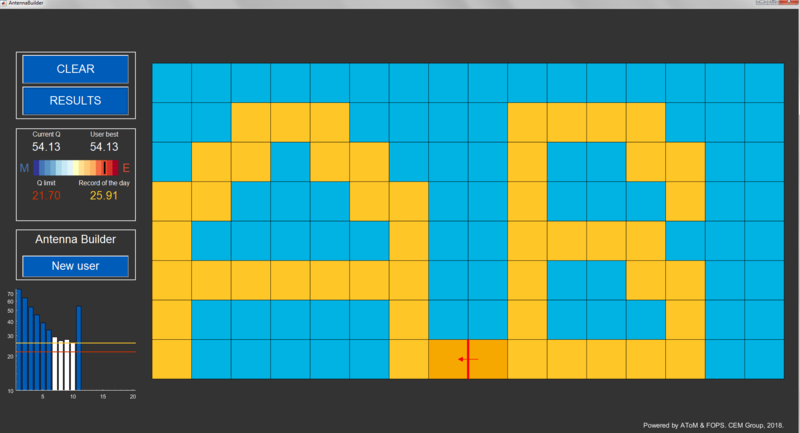 Addon for AToM with easy controllable interface to design planar antenna structure. More about Antenna Builder. The free version can be downloaded here. Visit download for more information. List of publications where AToM was cited. Tayli, D., Capek, M., Akrou, L., Losenicky, V., Jelinek, L., Gustafsson, M.: Accurate and Efficient Evaluation of Characteristic Modes, IEEE Transactions on Antennas and Propagation, 2018. Jelinek, L., Schab, K., Capek, M.: Radiation Efficiency Cost of Resonance Tuning, IEEE Transactions on Antennas and Propagation, 2018. 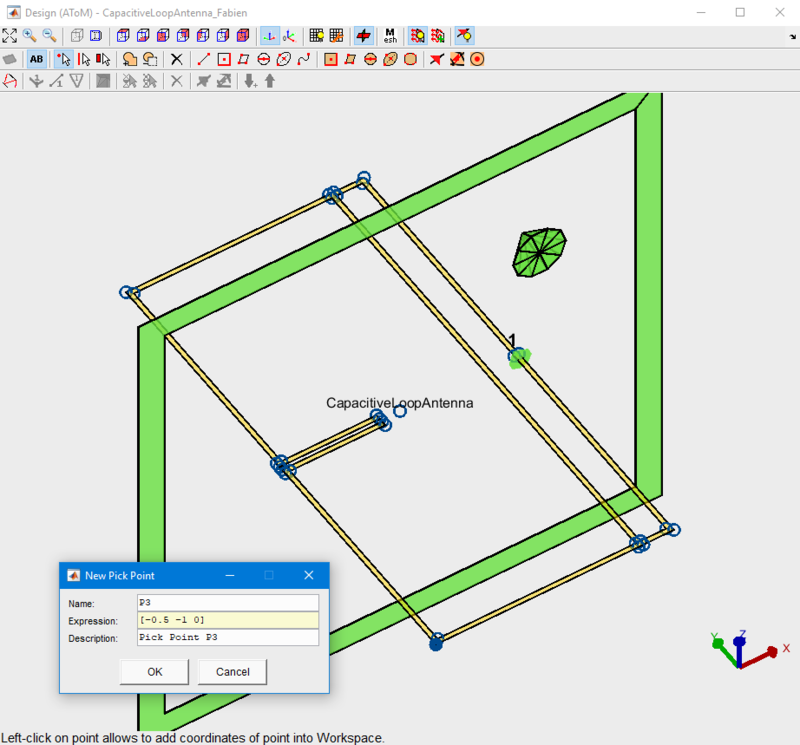 Capek, M., Hazdra, P., Adler, V., Kadlec, V., Sedenka, V., Marek, M., Masek, M., Losenicky, V., Strambach, M., Mazanek, M., Rymus, J.: AToM: A Versatile MATLAB Tool for Antenna Synthesis, EuCAP 2018, London, UK, 2018. Capek, M., Tayli, D., Akrou, L., Losenicky, V., Jelinek, L., Gustafsson, M.: Accurate Evaluation of Characteristic Modes, EuCAP 2018, London, UK, 2018. Chen, Y., Schab, K., Capek, M., Masek, M., Lau, B. K., Aliakbariabar, H., Haykir, Y., Wu, Q., Strydom, W., Peitzmeier, N., Jovicic, M., Genovesi, S., Dicandia, F. A.: Benchmark Problem Definition and Cross-Validation for Characteristic Mode Solvers, EuCAP 2018, London, UK, 2018. Capek, M., Jelinek, L.: Optimal Currents and Optimal Antennas, EuCAP 2018, London, UK, 2018. Masek, M., Capek, M., Jelinek, J.: Mode Tracking Based on Group Theory, EuCAP 2018, London, UK, 2018. Capek, M., Gustafsson, M., Schab, K.: Minimization of Antenna Quality Factor, IEEE Transactions on Antennas and Propagation, Vol. 65, No. 8, pp. 4115-4123, Aug. 2017. Capek, M., Losenicky, V., Jelinek, L., Gustafsson M.: Validating the Characteristic Modes Solvers, IEEE Transactions on Antennas and Propagation, Vol. 65, No. 8, pp. 4134--4145, Aug. 2017. Gustafsson, M., Capek, M., Schab, K.: Fundamental Limitations on the Quality Factor and Related Problems for Small Antennas, IEEE APS/USNC-URSI, San Diego, USA, 2017. Capek, M., Losenicky, V., Jelinek, L., Gustafsson, M., Tayli, D.: Numerical Benchmark Based on Characteristic Modes of a Spherical Shell, IEEE APS/USNC-URSI, San Diego, USA, 2017. Jelinek, L., Kratky, O., Capek, M.: Polarizability Tensors of Highly Conductive Bodies, IEEE APS/USNC-URSI, San Diego, USA, 2017. 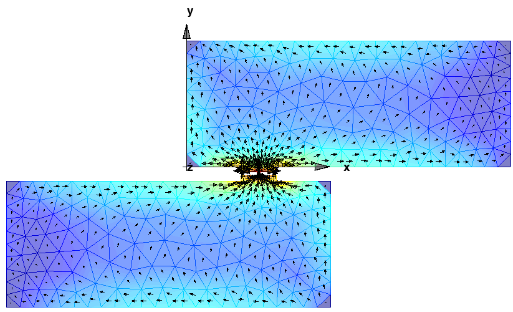 Jelinek, L., Kratky, O., Capek, M.: An Evaluation of Polarizability Tensors of Arbitrarily Shaped Highly Conducting Bodies, IET Microwaves, Antennas and Propagation, Vol. 11, No. 6, pp. 852-858, May 2017. Gustafsson, M., Capek, M., Schab, K.: Minimum Q-factors for Antennas, EuCAP 2017, Paris, France, 2017. Capek, M., Jelinek, L., Kadlec, P., Strambach, M.: Excitation of Optimal and Suboptimal Currents, EuCAP 2017, Paris, France, 2017. Capek, M., Hazdra, P., Masek, M., Losenicky, L.: Analytical Representation of Characteristic Modes Decomposition, IEEE Transactions on Antennas and Propagation, Vol. 65, No. 2, pp. 713-720, Feb. 2017. Jelinek, L., Capek, M.: Optimal Currents in the Characteristic Modes Basis, IEEE APS/USNC-URSI, Fajardo, Puerto Rico, 2016. Capek, M., Jelinek, L.: Optimal Composition of Modal Currents For Minimal Quality Factor Q, IEEE Transactions on Antennas and Propagation, Vol. 64, No. 12, pp. 5230-5242, Dec. 2016. Capek, M., Masek, M., Hazdra, P.: Some Numerical Aspects of Characteristic Mode Decomposition, EuCAP 2016, Davos, Switzerland, 2016. Capek, M., Hazdra, P., Mazanek, M., Raida, Z., Rymus, J.: The Antenna Toolbox for Matlab (AToM), EuCAP 2015, Lisbon, Portugal, 2015. Capek, M., Eichler, J., Hazdra, P., Mazanek, M.: A Method for the Evaluation of Radiation Efficiency Based on Modal Approach, EuCAP 2014, Hague, Netherlands, 2014. Kozak, F., Capek, M., Jenik, V., Hudec, P., Skvor, Z.: Simulation of Electromagnetic Field of a Fast Moving Target Close to Antennas, EuCAP 2013, Gothenburg, Sweden, 2013. Did you cite AToM and your paper is not in the list? Contact us and we will add your reference here!